The fishing enthusiasts will always want the perfect rod and reel combo. The last thing they want to do is have to purchase a different rod annually. It can be annoying because some rods actually cost a lot of money. When you buy your rod, you want something that you can control. It must be able to do the job, yet at the same time, it needs to be durable. Likewise, the very last thing you will want in your inventory is a fishing rod that breaks when you try to reel in heavy fish. Also, you will probably not prefer to have a fishing rod that easily corrodes when you try to use it in salt water. For convenience and practicality, the rod you buy should be usable in both salt and fresh water. It should also be adjustable and ideally, come in different lengths. Then there are other specific things that you may look for. You may want accessories, such as a carry case that can hold the rod and reel. Similarly, you may also prefer to have a rod that can be folded and easily transported. If you are working with a fixed budget, then you should research and find a quality rod that is in your price range. 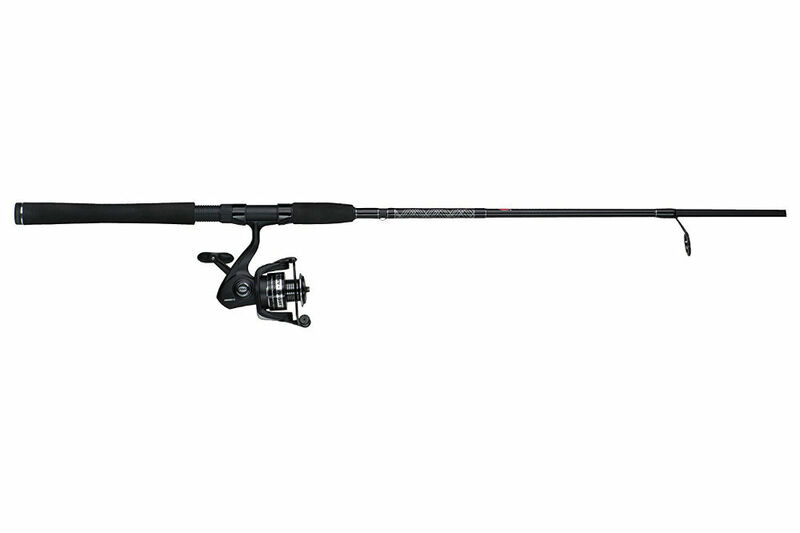 Below, you can read our comprehensive review of the Penn Pursuit II Fishing Rod and Spinning Reel. Penn’s Fishing Rod and Spinning Reel set is available for purchase in assorted styles. The manufacturer offers nine styles to choose from. Some styles have two pieces, and some only have one piece. Some are either heavy, medium or lightweight. Further, the rods have some salient features that cannot be ignored. The rod and reel are designed from durable materials. Materials used in their design include graphite, stainless steel, and aluminum. The graphite is corrosion resistant, so the rod can be used in salt water bodies. The reel functions well. It has an instant anti-reverse functionality and also has four ball bearings that are made of stainless steel. Moreover, it is also fluid and has a smooth retrieve thanks to its techno-balanced rotor. The manufacturers have incorporated EVA grips into the design so you can get a good hold on the rod. The last thing you need to worry about it your catch taking your rod with it as it tries to escape. These lightweight rod-and-reel combos are available in nine variations. You can get your rod light, medium or heavy. It can be seven, eight or nine feet long and you can get it between 3000 and 8000. Apart from coming with variety, it comes well greased up. This rod is super long and can make travel super uncomfortable because it comes as one rod, although it’s advertised as two rods. The length of the rod and its inability to be fully collapsible doesn’t make it very portable or easy to store. The shipping packaging may damage the rod. As mentioned before, the rod comes in its full length, and because of this packaging, it for shipment may make it extra fragile. Don’t be surprised if you receive a damaged rod since the manufacturers have not reinforced the packaging material before shipping the rods off. Initially, this rod and reel combo set seemed like a good deal. But when you continue reading about the product, you will realize that there are a few shortcomings. You are buying a fishing rod that doesn’t come with a line. Further, you will be getting a rod that is not really collapsible, and if collapsed, it is still considerably long. Then, there are questions about the durability of the rod. On the plus side, the reel functions well; it has a good grip, and the manufacturer offers a lot of variety for you to choose from. In terms of features, the Sougayling Portable Telescopic Rod and Reel Combo is comparable to the Penn Pursuit II Fishing Rod and Spinning Reel. This rod is very eye catching with its body that appears to be yellow. One of the best features of this rod is that when it is collapsed, it looks as small as a wand from Hogwarts. This rod also comes in different sizes and kit options for you to choose from. If you were to buy one of their kits, you get a line with it, and that also comes with a bag to protect the rod and a plastic cap that protects the rings on the pole. Lastly, the Sougayling Portable Telescopic Rod and Reel Combo is made from sturdy materials such as graphite, aluminum ceramics, carbon fiber and stainless steel. 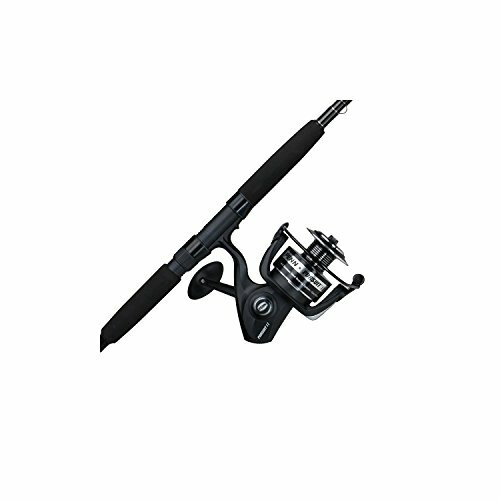 After reviewing Penn’s Fishing Rod and Spinning Reel’s features, it is safe to say that it probably would not be the top choice for someone who has to fish far away from their house due to the fact that not all the lengths come in two parts and can be folded easily for travel. If you want a rod with such functionality, then you need to conduct research and look for a better product. Another point to note, the Penn’s Fishing Rod and Spinning Reel does not come with anything to protect it, and the manufacturers don’t protect it well when shipping. If you want to get a rod, you should get one that offers you the most convenience. Having to buy a fishing line, in addition to the rod, is probably not very suitable for everyone.